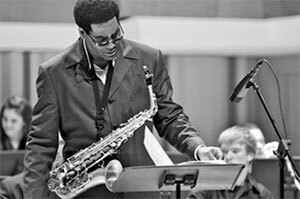 As the Jazz Saxophone Professor at University of North Texas, Brad is a highly sought after clinician, adjudicator, and guest artist at at educational institutions and camps nationally and internationally. Brad also provides individual lessons, in person or via internet. For lessons, contact Brad at 718-809-5817 or Brad.Leali@UNT.edu.